Whether at work or at home, success is something we strive for in all aspects of our lives. And while there are a number of obvious things you should be doing in order to achieve your goals and reach success, there are also some not-so-obvious ones. 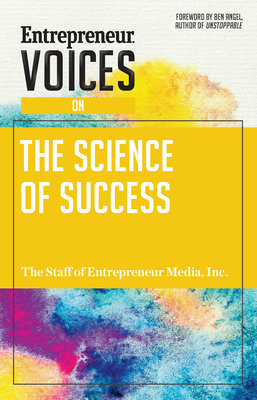 Entrepreneur Voices on the Science of Success offers data and research-backed tools and tactics for both business and personal achievement from entrepreneurs and small business owners including Tim Ferris, Brian Tracy, and Reid Hoffman. Implement daily habits to increase productivity and create a billion-dollar business Capture the right audience, enhance their brand experience, and increase customer loyalty Learn how to use science to close deals and increase revenue Reduce stress, thrive at work, and change their mindset to live a happier and more balanced life.